Applying to enter the seminary is a big step, but not as big as it might first seem. Entering the seminary doesn’t automatically mean you’re going to become a priest; what it does mean is that you’re actively and seriously discerning the call to priesthood in a much more formal way. The application process is intended to help both you and the bishop decide if it’s the right time for you to enter the seminary. 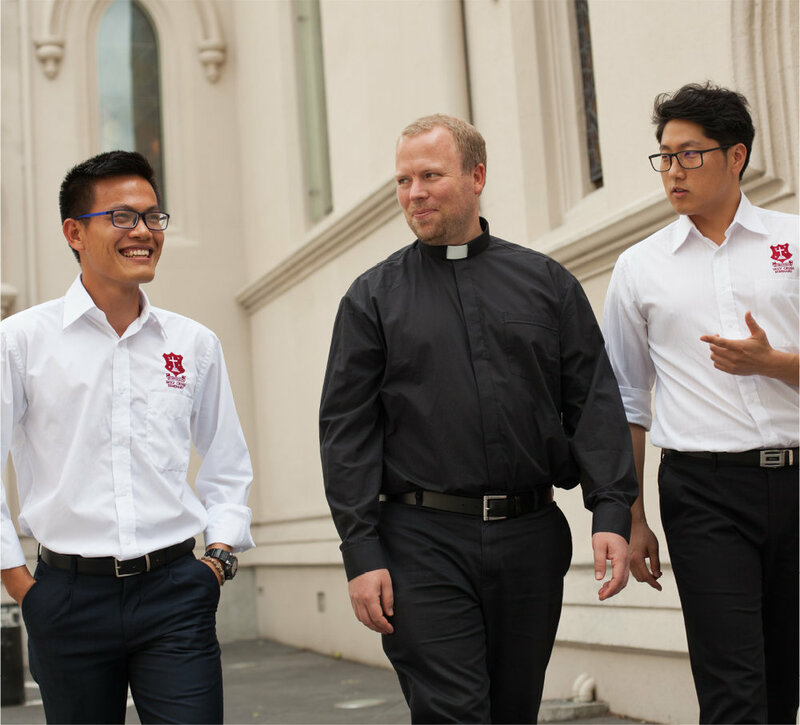 Entering the seminary is, on the one hand, a small step because you’re not required to make any formal commitments other than a willingness to spend the next year discerning a calling to the priesthood; you’re simply stating that you feel the Lord calling you to discern a vocation to the priesthood. This isn’t a journey you’ll be making alone, but instead you’ll be supported by the seminary staff, as well as your brother seminarians. Seminarians come from all walks of life, previous educational experiences, family backgrounds, and parishes. They bring different talents, insights, and experiences to their time in formation and many strong and lasting friendships are formed during the time in the seminary – regardless of whether you’re ultimately ordained or not.